Guillermo del Toro’s latest monster movie is a fairy-tale romance about a woman who falls for a fish-man. But the amphibious creature at the center of The Shape of Water isn’t the film’s only monster. 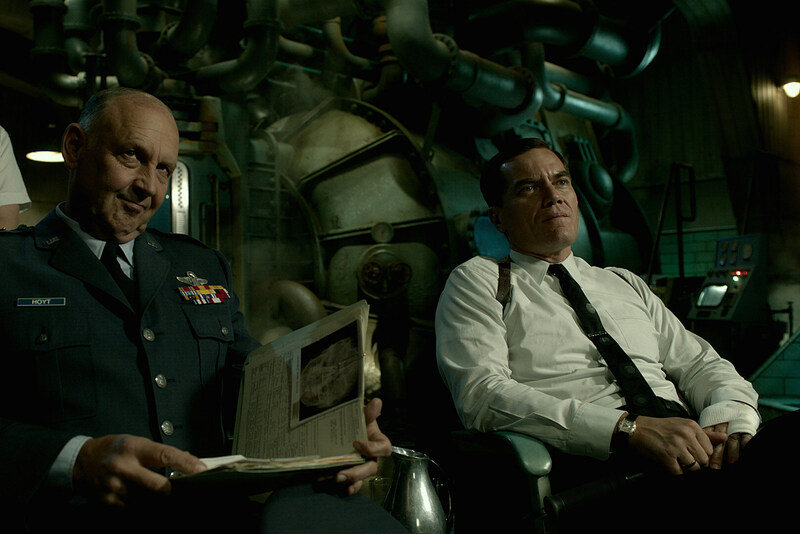 The true depiction of monstrosity comes from Michael Shannon’s Strickland, a sadistic government agent who uses torture and intimidation to wield power over everyone in his path. After Strickland discovers Doug Jones’ water-dweller in South America, he drags him to a top-secret facility outside of Baltimore to poke and prod him for experiments. 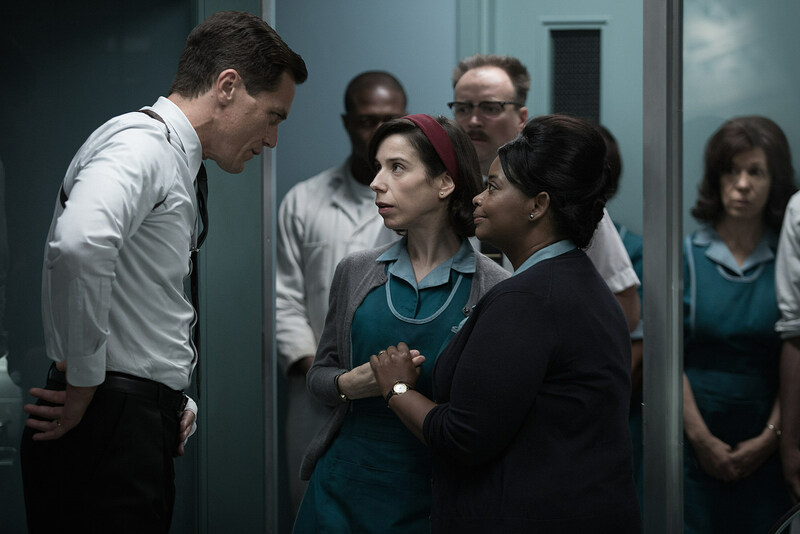 Everyone has their own intentions for the creature – the U.S. government considers using him for an advantage in the Space Race, Michael Stuhlbarg’s scientist wants to learn from him, and Sally Hawkins’ mute janitor Elisa wants to save and protect him. For Strickland, the fish-man is just another target to exercise his authority over. But as villainous as Shannon’s character is, he’s wrestling with his own demons too. During an interview over the phone, Shannon told me Dr. Strangelove was an influence for his role, and spoke about creating a character who was indicative of Cold War-era mentalities – he also likened one of his scenes to Harvey Weinstein and the sexual harassment scandals currently plaguing Hollywood. Shannon, who’s one of the busiest actors in the industry these days, also told me why he wanted to star in Pottersville, a new comedy where his character gets drunk and mistaken for Bigfoot. I actually spoke to you this time last year about Frank and Lola and you had just gotten off a red-eye flight after wrapping The Shape of Water. You’d said it was a hard project to make. What was the challenge for you in making this film? Huh. Well I don’t think I necessarily felt like that throughout the making of the film, but I would imagine when I talked to you I probably just finished shooting the end of the film, which had a lot of night exteriors in the rain in Toronto in late Autumn. So it was quite cold and wet, and you were outside in the cold wet rain until the sun came up. So I can’t imagine many people wanting to do that, actually. It’s kind of uncomfortable, but it paid off. I mean it looks amazing. I can’t imagine it any other way. So it was the right choice. But yeah, that’s hard to do. I love your character in this, particularly because there are so many rich details that tell us so much about him, from the way he eats his green candies to the way he pees. Were those details in the script or did you bring any of those to him? Eh, a lot of those, or pretty much all of them were honestly, were Guillermo’s ideas. They were in the script. The only thing with the candies, I kept trying to add it to more and more scenes. I thought if we were going to do the candy, we should do it wholeheartedly. And the candy really is insightful in terms of knowing where Strickland is at psychologically. His relation to the candy tells you kind of what’s going on in his head. With a character like this, you’d almost expect him to be drinking alcohol or have some other traditional vice. But instead it’s candy. What is it about that? What did it tell you about him? Well, it’s a very oral thing, the hard candy. I think it represents tension and anxiety, and the supplication of anxiety, the release of anxiety. I mean Strickland is a very troubled person. It’s easy to focus on the pain he inflicts on other people, but something that is a little more insidious is the pain he inflicts on himself, or the pain that he is carrying with him all the time. Usually people who are that cruel tend to have a lot of self-loathing and that cruelness is a manifestation of that. So anyway the candy, in the way, he kind of alleviates his own anxiety. It’s interesting you say that he’s struggling with self-loathing because, to me, he seems to be wrestling with antiquated notions of masculinity. He sets expectations for himself “to deliver,” as he says, and to be his ideal version of a man. Which was very indicative of that era, you know. That’s the prototypical ’50s-’60s American upright citizen. And the consumerism, the idea that having things will make you happy. Plus there was all this paranoia swirling through the Cold War, and really kind of absurd. I mean this isn’t the first film to highlight that. I thought of Dr. Strangelove a lot making this movie. Interesting. Did Dr. Strangelove inform how you played Strickland? Yeah, I think Strickland could have wandered into the set of Dr. Strangelove and not have been entirely out of place. While he is technically the villain, he doesn’t really have a motive for torturing the creature, while the Russians and U.S. Army have their own agendas. How did you understand where his malevolence came from? Well look, it’s as old as mankind itself. The idea that if you give someone power or authority, honestly, they’re more likely to abuse it than not. If I can explain to you why people get pleasure out of causing pain to other people or things or animals or whatever, I should probably win a Nobel Prize, but I can’t. I can’t explain it. All I know is when Guillermo and I talked about Strickland and his history, Guillermo said that perhaps Strickland endured some cruelty at one point or another in his own life, and that the tendency there is that a person who experiences that kind of cruelty usually finds a way to repay the favor sooner or later. Kind of like this hot potato we’ve been passing around from generation to generation throughout the years as people. You share a lot of scenes with Doug Jones, who’s wearing this incredible creature suit. What was it like to act opposite Doug as he’s wearing such an elaborate practical effect costume? Doug’s an extraordinary artist with or without the suit on. I was saying earlier today that Doug could play the creature even if he wasn’t in a suit. He takes it so seriously and he thinks about it so much. And when you put Doug together with the suit, it’s pretty formidable. I think you can find other guys that might be willing to put that suit on then maybe grumble or complain about it, but they’d do it if you paid them enough. But I don’t think they would imbue it with the same artistry and majesty that Doug does. He is a real artist. Last question – You’re also in Pottersville. What’s the story behind how you got involved with that and why you wanted to play a guy who people think is Bigfoot? Oh well, Pottersville is written by a very dear old friend of mine named Dan Meyer. He’s written a couple of scripts and he’s been trying for years to get something off the ground and we were able to find people and some producers that responded to the material. He had written the part with me in mind because from his point of view, seeing as how we’re such close friends, he said, “You know Mike I would love to write a part where the world can see what a sweet guy you are because everybody thinks you’re ... whatever.” So I said, “Well that’s nice of you.” That’s kind of how that came about. The director as well, Seth Henrikson, who’s an old friend of mine and he’d been wanting to direct a feature for a long time, so it was just a way to help a couple of my buddies to accomplish their dream in life. So all’s well that ends well. The Shape of Water opens in New York City on December 1, followed by a limited release on December 8.